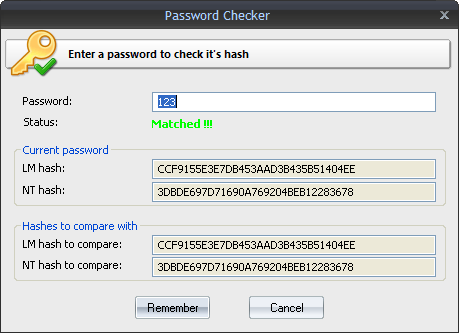 This tool allows checking the password of a selected hash manually. The tool is often necessary for validating certain hashes. For example, when an LM hash, for one or the other reason, doesn't match the password's NT hash.